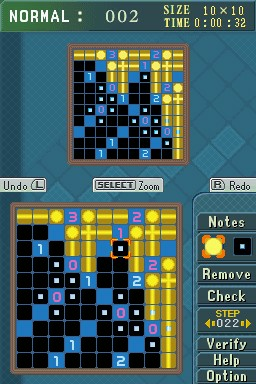 Puzzle Series Vol. 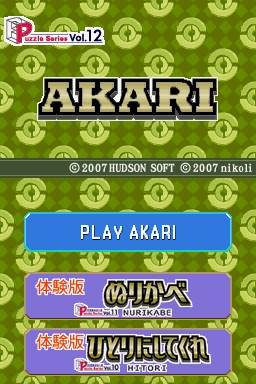 12: Akari is a puzzle game for the Nintendo DS. 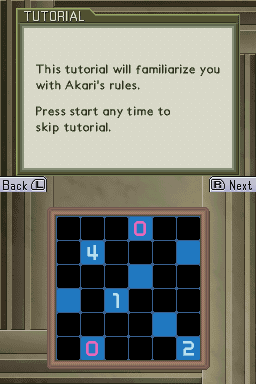 This patch translates everything related to Akari in Puzzle Series Vol. 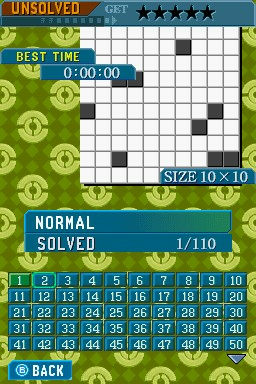 12, with the exception of one of the skins. There are 3 skins to choose from, but the second one is untranslated. 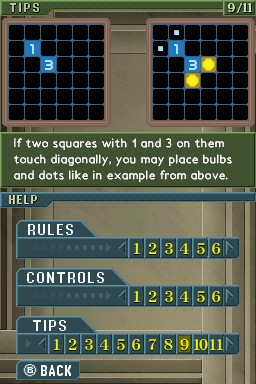 Hitori and Nurikabe are also included in the game, and are left untranslated.